Coming from years of research at Nutriset and tested in field research, the product is designed for nutritional supplementation of children from two years of age. A single sachet of 30 grams delivers the daily vitamin and mineral intake necessary for good growth. In Burkina Faso, nearly one in three children is affected by or stunting, also referred to as chronic malnutrition (29.6% of children under the age of five in 2017). These children develop stunted growth and motor development. Their immune defenses are weakened and, they are more at risk for diseases such as diarrhea. Their cognitive development is often compromised, resulting in more difficulty than for other children to learn at school and eventually finding a job at adult age; all of which will have a resounding impact in the future for their families and the overall economic development of the country. Grandibien® is here to support parents, pregnant and lactating women, and children to respond to their nutritional needs when they need supplementation, and allow everyone to live a healthy life and fulfill their projects. Children have many dreams for their future. 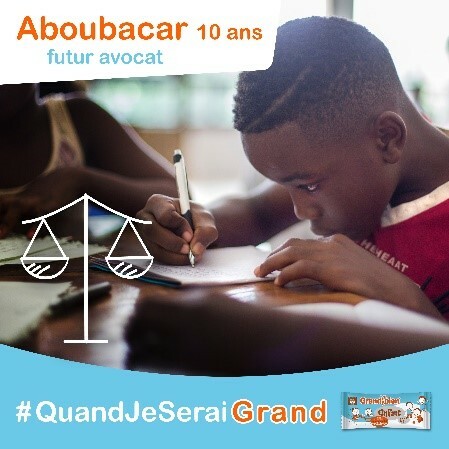 #QuandJeSeraiGrand ( translating to WhenIWillBeTall) gives them a voice and Grandibien® provides them with the little nutritional boost they need to reach for their dreams and achieve their projects in good health. Manufactured by Nutriset in France, the Grandibien® line of product is imported by Barika® for its distribution in Burkina Faso through a network of more than 1,000 retailers and outlets, starting in Ouagadougou. Barika® is a social and sustainable distribution network that offers a selection of affordable quality products to Burkinabé households, and partners with local actors and committed suppliers such as Nutriset, which has been working for 30 years to fight malnutrition. 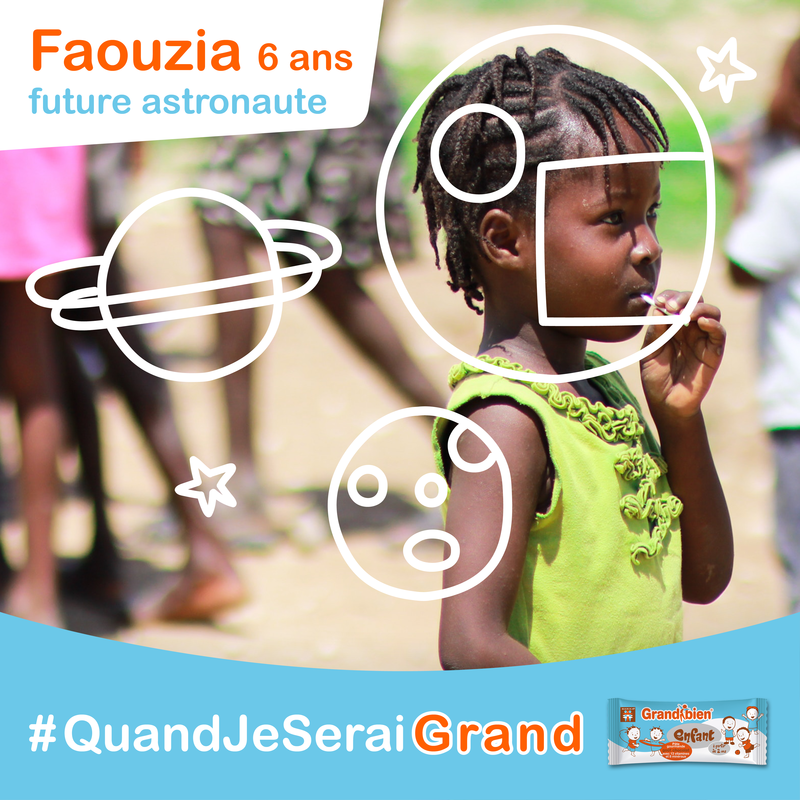 In September 2018, it's back to school for all children in Burkina Faso! The Barika® team will host many events during this period to cheer the young and old who will return to the school benches. 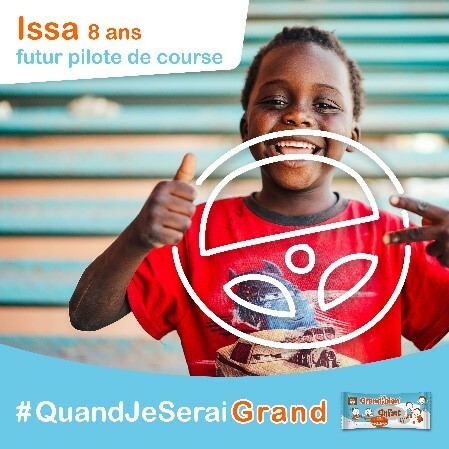 There will be lots of opportunities to discover the delicious chocolate taste of Grandibien® Enfant and share their ideas and dreams with the world at #QuandJeSeraiGrand! Eat&Play Box : turning carboard packaging into toys!